In this screenshot, we see the background of the Nintendogs stage for 3DS. The background detail shows one of the dogs watching the television. 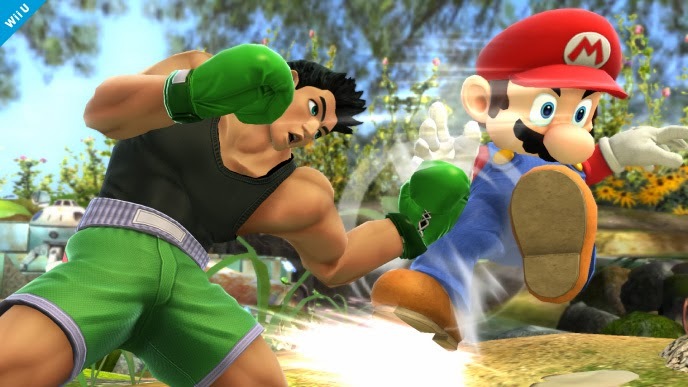 In this screenshot, we see Marth and Lucario (using his Double Team move) on the Super Smash Bros. arena stage on Wii U. 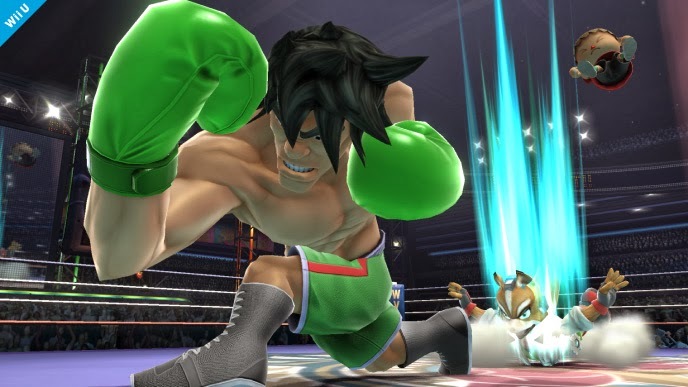 The version of Lucario that Marth is attacking is an illusion. 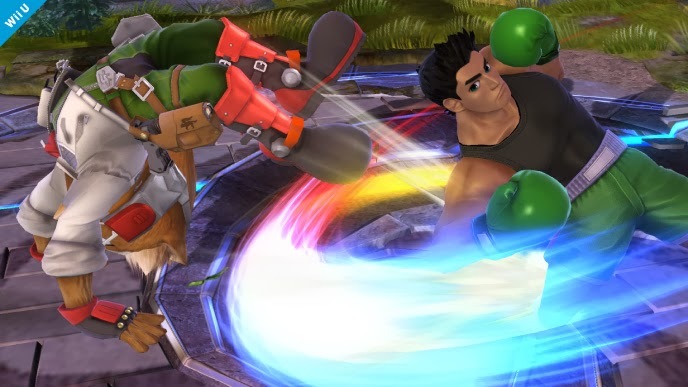 In these screenshots, we see Toon Link using the improved Home-run Bat on Donkey Kong and Bowser in the Skyward Sword (Skyloft) stage on Wii U. 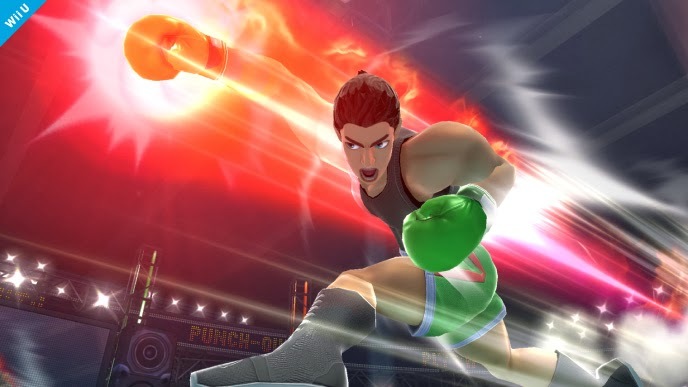 The noticeable change of the new Home-run bat item is now the bat has an updated design and it's much more powerful than in Super Smash Bros. Brawl. 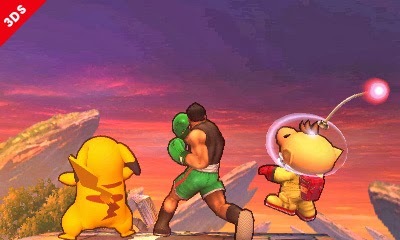 In this screenshot, it shows Peach's taunt in action on the Battlefield stage on Wii U. 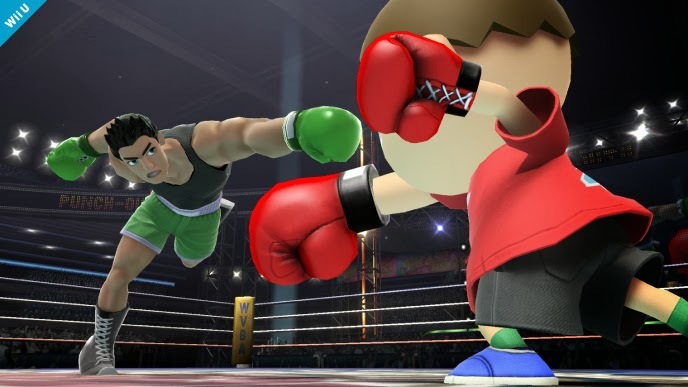 We can see Little Mac from Punch-Out!! in his rightful Punch-Out!! arena stage, or what used to be cleverly disguised as the Super Smash Bros. arena stage on Wii U. 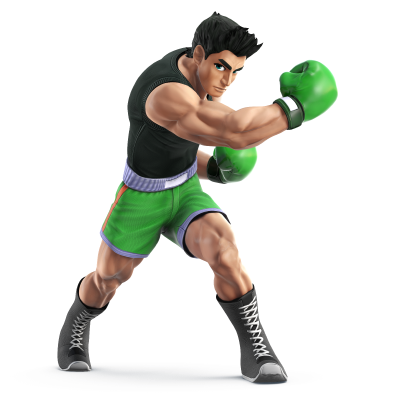 Little Mac punches into battle! 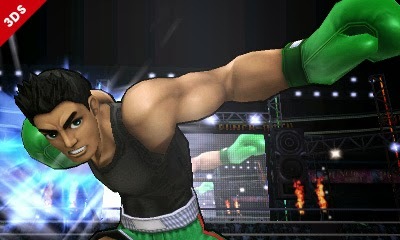 In this bonus screenshot, we can see Little Mac's power meter and special attack. His special standard attack depends on the charge amount of the attack. 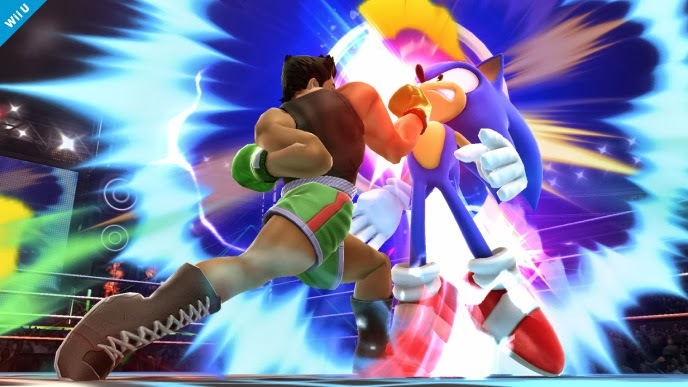 If the meter is fully charged, Little Mac's special standard move becomes and instant K.O. 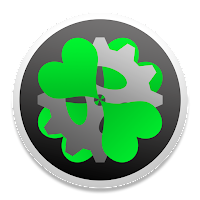 move, so it's a very powerful move. 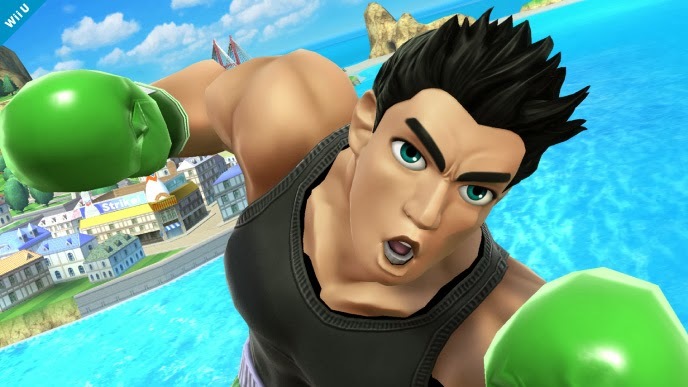 Were you expecting Diddy Kong or Ness, as implided by this week's photo's as I did? 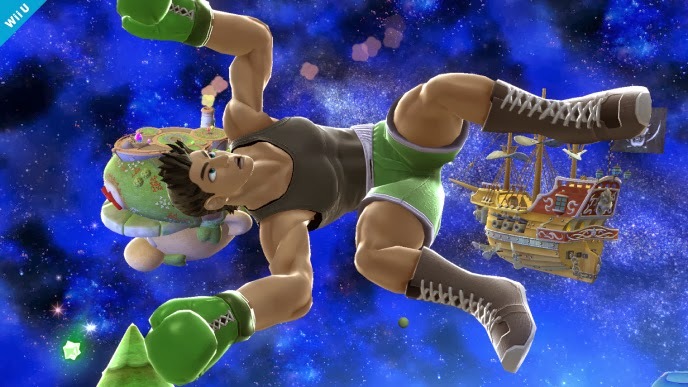 Was anyone surprised by Little Mac?